​Angry LeBron is the best LeBron. And on Wednesday night, the King made sure to let us know just how ticked off he is with the NBA trade deadline a day away. 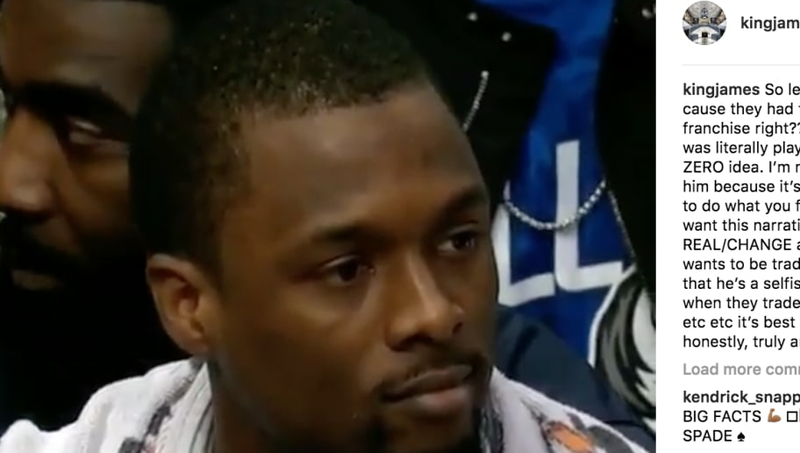 As many NBA fans have seen, ​Harrison Barnes was just traded by the Dallas Mavericks to the Sacramento Kings. But, what made things awkward here is the team traded the man while he was still on the freaking ​hardwood for them. How in the world can you do this? His caption read, "So let me guess this is cool cause they had to do what was best for the franchise right??? Traded this man while he was literally playing in the game and had ZERO idea. I’m not knocking who traded him because it’s a business and you have to do what you feel what’s best but I just want this narrative to start to get REAL/CHANGE and not when a player wants to be traded or leaves a Franchise that he’s a selfish/ungrateful player but when they trade you, release , waive, cut etc etc it’s best for them! I’m ok with both honestly, truly am. Just call a ♠️ a ♠️!" Sorry about this, Harrison. Hopefully you're treated a lot better in Sacramento.